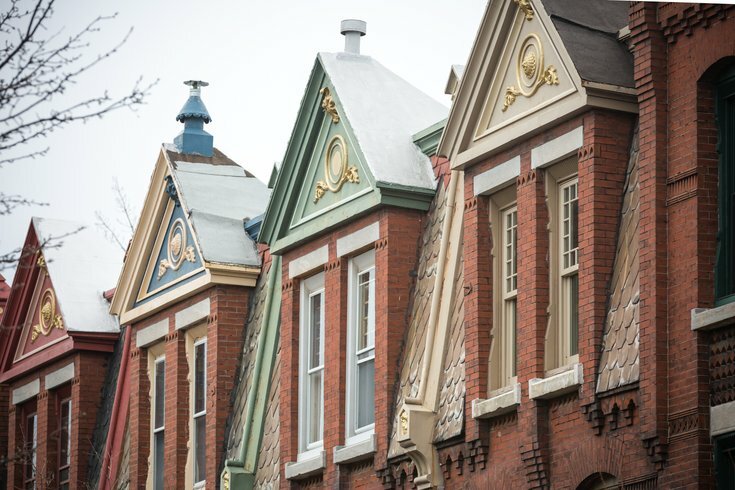 Rowhomes in the Fairmount neighborhood of Philadelphia. This year's Fairmount Avenue Arts Crawl will take place Sunday, April 28. The free event, which attracts nearly 5,000 attendees each year, turns more than 25 neighborhood venues – like Eastern State Penitentiary and Bar Hygge – into a showcase of local emerging artists. From noon to 4 p.m., walk Fairmount Avenue to check out paintings, sculptures, prints and photography. In total, there will be more than 40 exhibits to see. For families with kids, there will be craft-making stations, face painting and sidewalk chalk. The full list of venues and participating artists hasn't been posted yet, but check here as the date gets closer.